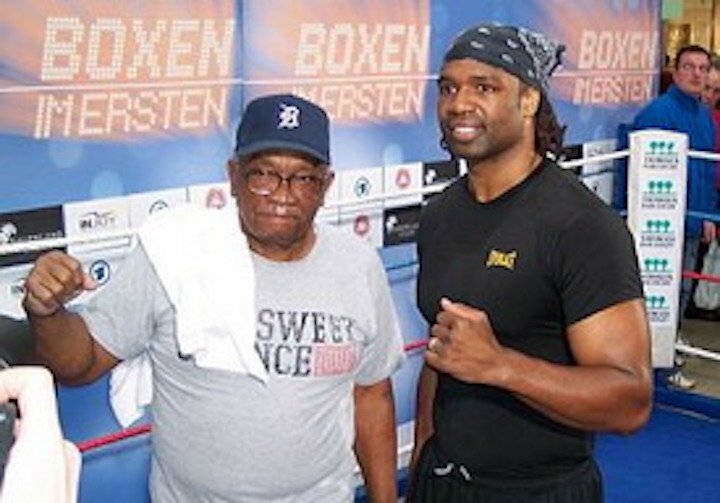 Never a puncher, small heavyweight Chris Byrd almost always entered a fight knowing he would in all likelihood have to go the full ten or 12-rounds that there would be no short night courtesy of a quick KO. The slick southpaw also knew that, should he make one mistake in a fight in the land of the giants, and it could be lights out for him. And Byrd, though a one-time super-middleweight and light-heavyweight, sure tested his nerve against some of the biggest, baddest and best heavyweights of his era. Consider the following: Byrd, who actually began his pro carer down at super-middleweight, did battle with some of the real giants of the big guys’ weight class during his pro career: Ike Ibeabuchi, Vitali AND Wladimir Klitschko, David Tua and, the biggest of the lot, Jameel McCline were all challenged by Byrd, and he managed to beat three of these huge punchers. Yet today, long retired, Byrd, known as “Rapid Fire,” gets nowhere near the credit he really did earn and deserves. Byrd, in addition to his bravery, possessed tons of heart and guts. Taking a bad beating from Wladimir Klitschko 18 years ago in October 2000, the much smaller man refused to be pulled out and instead went the full 12-rounds. In another losing attempt up at heavyweight, this one against the monstrous punching Ike Ibeabuchi, Byrd was hit with an absolute shot from hell in the fifth-round, only to try and get up and fight on. Really, the man’s sheer bravery was something to behold. Just why is Byrd not a genuine fan-favourite? With excellent, odds-defying wins to his name over Vitali Klitschko, David Tua, Evander Holyfield and Jameel McCline (who out-weighed Byrd by a whopping 56 pounds) it is clear Chris Byrd has not gotten anyway near the credit he deserves. Again, why? Okay, he wasn’t a banger, and yes, some of Byrd’s fights were full of effective boxing and not out and out brawling, and as such many fans claim Byrd was “boring.” But throughout his career, the man from Flint put on some beautiful displays of boxing. And he did it against massive heavyweights who had practically every physical advantage imaginable over him. Chris Byrd, 41-5-1(22): a natural light-heavyweight who dared to take on the heavyweight greats.